Financial institutions often show rates expressed as an annual percentage rate (APR) or annual percentage yield (APY). APR is the basic rate at which interest compounds, however the frequency of compounding must also be factored in to figure out the APY. If interest was compounded annually then APR & APY would be the same exact number. Whenever interest is compounded more frequently, the APY typically becomes significantly larger than the APR because the interest earns additional interest on itself throughout the year. The following converter allows you to enter the APY & how frequency interest is compounded to figure out what APR is associated with it. For your convenience, a table listing compounding frequencies and rates appears below the calculator. When you enter any figure the calculator will automatically return the APR. First enter the APY in percent. 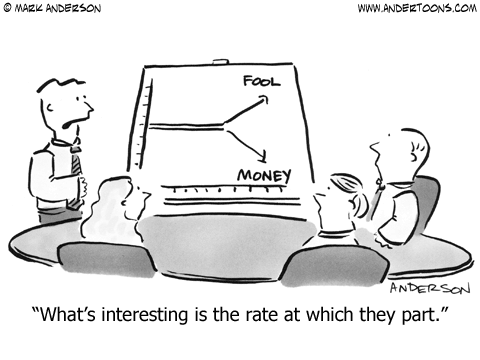 Some banks also refer to this as the effective annual rate (EAR). Next enter how frequently interest compounds each year. Common compounding frequencies appear in the drop down. If you would like to use a compounding frequency not shown in the drop down, select custom in the drop down & then enter a custom compounding frequency in the box below it. Click on CALCULATE and you’ll instantly see the annual percentage rate interest associated with the above APY. We also offer a savings calculator to calculate interest earned and a separate tool to convert APR to APY. The following table shows the corresponding APR associated with a set compounding frequency for a range of APYs.